Tired of Wi-Fi dead zones? 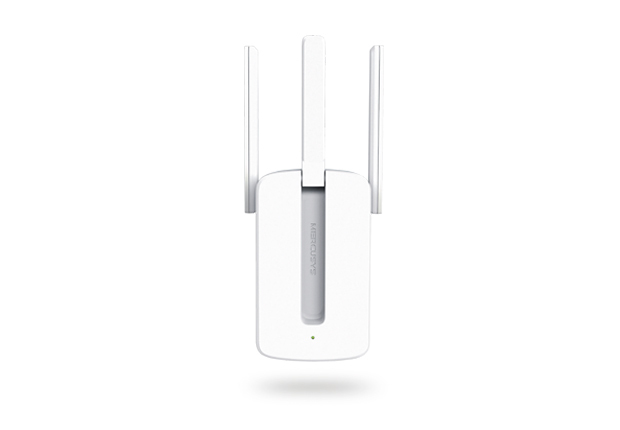 The MW300RE eliminates them by wirelessly connecting to your router, strengthening and expanding its signal into areas it can’t on its own. 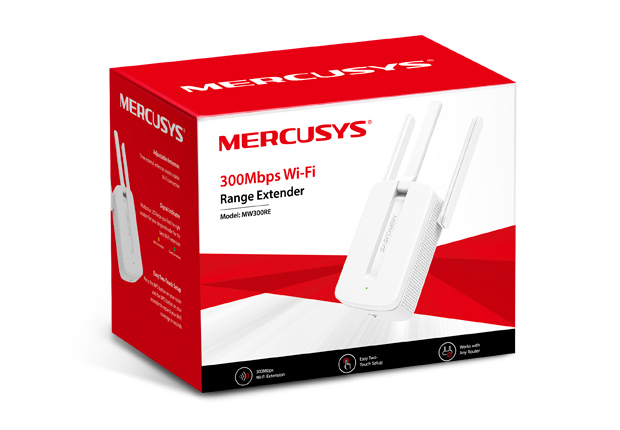 It also reduces signal interference to ensure reliable Wi-Fi coverage throughout your home or office. Press the WPS button on your router and the MW300RE, respectively, you can connect to the network in seconds. Once connected, you can simply unplug the range extender from one location and plug it back into another for the best signal quality and coverage in your home, without needing to configure the extender again. A multicolor LED helps you to find the right location to deliver the best Wi-Fi extension. MW300RE could work with almost any Wi-Fi router. The MW300RE is different with ordinary range extenders. With MIMO technology, the MW300RE helps to enhance your network by dramatically increasing wireless speeds. 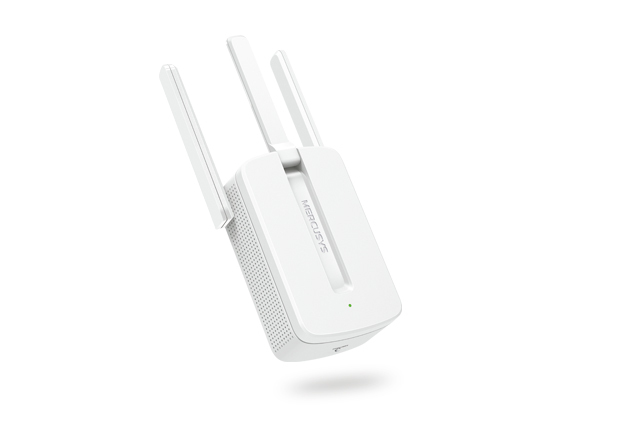 What’s more, its three external antennas ensure that a stable wireless signal reaches you where you need it most. *Maximum wireless signal rates are the physical rates derived from IEEE Standard 802.11 specifications. Actual wireless data throughput and wireless coverage per ft2 are not guaranteed and will vary as a result of 1) environmental factors, including building materials, physical objects, and obstacles, 2) network conditions, including local interference, volume and density of traffic, product location, network complexity, and network overhead, and 3) client limitations, including rated performance, location, connection quality, and client condition.